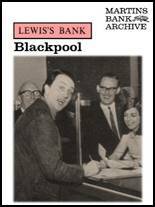 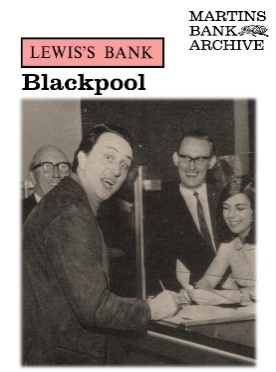 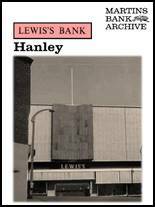 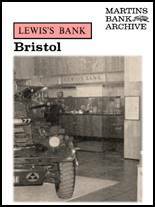 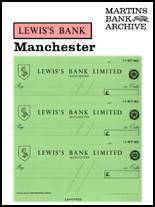 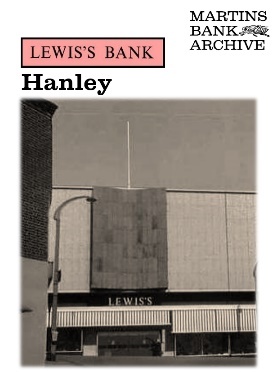 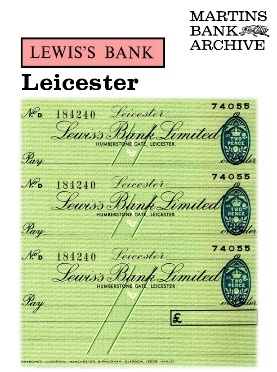 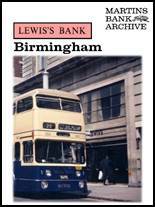 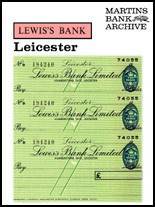 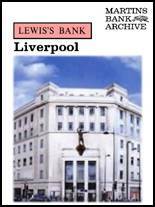 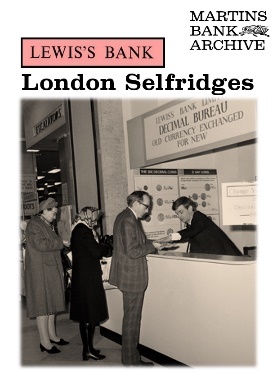 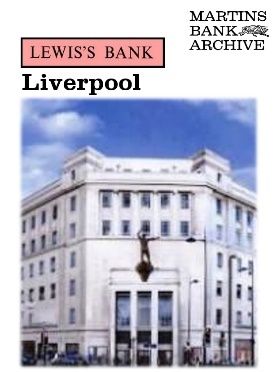 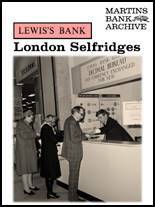 This is Lewis’s Bank, the department store banking service which for nine of its 52 years - 1958 to 1967 - is owned by Martins Bank. 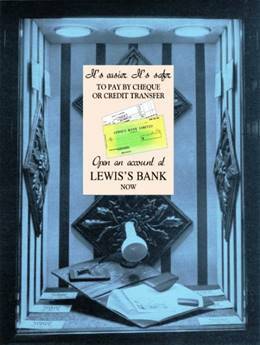 Lewis’s Bank has branches in every one of Lewis’s Department Stores up and down the land. 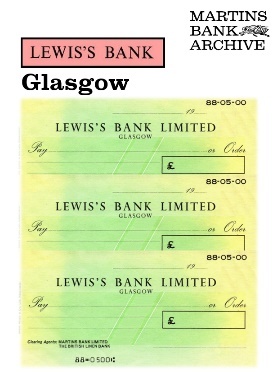 The Glasgow office provides Martins with its only Branch in Scotland. 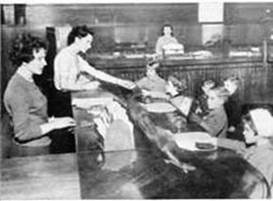 Long hours mean Saturday Afternoon opening, and even a children’s counter. 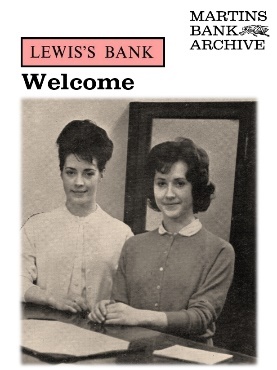 Thanks to Martins Bank Magazine and former Lewis’s Bank Staff, there remains a small but precious number of images from this most curious of enterprises. 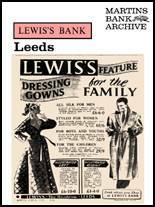 Please feel free to browse our featured departments and branches below without obligation to buy! 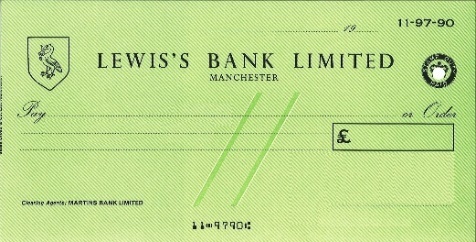 CONNECTED TO THE JOHN LEWIS PARTNERSHIP OR TO ANY OF ITS STORES.